Time is Short, HELP is Needed .. Stem Cell Nutrition Works! Yes, I am a Stem Cell Nutrition Believer..and ..I am in Need of urgent help. I do my wellness research..but I can NOT control the misfortunes of my life, especially this. I investigated , and I now know Stem Cell Nutrition products are NOT all the same, neither are all blue-green algae products. At sixty-six years old, a care giver for many, a tribal Medicine Woman/Elder, and over forty years of nutritional experience, and I can confirm to you that the World's First patented Stem Cell Nutrition Enhancer capsules, have helped me and my family,overcome many health challenges. .. Nothing, EXCEPT.. release millions MORE bone marrow stem cells into blood circulation. It is our Stem Cells that Do all the body renewal Work! 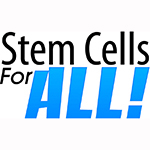 Yes, that ability to release Millions of fresh Stem Cells is mega Powerful for Health Maintenance, because it is our OWN Adult Stem Cells that are doing all the tissue and organ repair. I saw the health benefits first hand. My husband was diagnosed with three life ending conditions over ten years old. From lung failure, poor circulation, and artery blockages, all were gone after protocols I set in place for him, the foundation which was the Stem Cell Nutrition products. The most difficult was the lung problem which took one year. The circulation problems with medical care merely wanted amputations. He would allow none of this, and we continued with our protocols, without the stem cell enhancer capsules, due to our declining budget. My husband passed four years ago at seventy-six, the doctors said he was just wore out from a life fully lived. The loss of a wonderful marriage took it's toll on me emotionally and financially. After four years I rebounded, and dealing with the financial part of it as best I can. When my husband was extremely weak, his son came to assist me. He had almost as many problems as his father. After a year of my protocols he gained forty pounds, and was the picture of health. As the financial hounds began to take over my time and life, I could no longer afford even the smallest of supplements or nutritionals needed for both of us. My health and his declined quickly. I find myself now having to request help of any sort to care for us both. I am on widow's pension, Social Security, and he is unable to drive or work. This week he has been diagnosed with lymphoma, a mass on his lungs, and another in his stomach. He is unable to eat as one of the tumor masses is partially blocking his esophagus, and the infections required his teeth be pulled. If there are any generous souls, or those that have the means, I would so much appreciate any help. It was once he was off the stem cell enhancer products that his health began to decline, so I am so praying that I can obtain these somehow. His outlook for recovery is almost nil, his time is shorter than what the doctors will even tell me. I do not believe all the doctors spiel out, but I do know from seeing him it is a grave situation. My heartfelt gratitude to any who can respond to my plea.